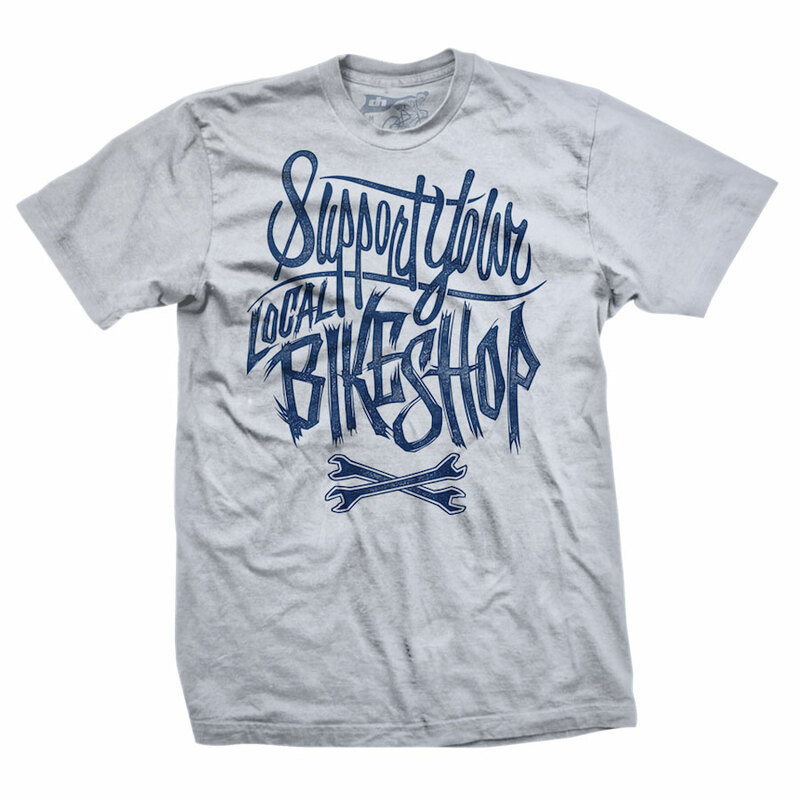 Revamp of one of our best selling shirts, Keep your bike business local! 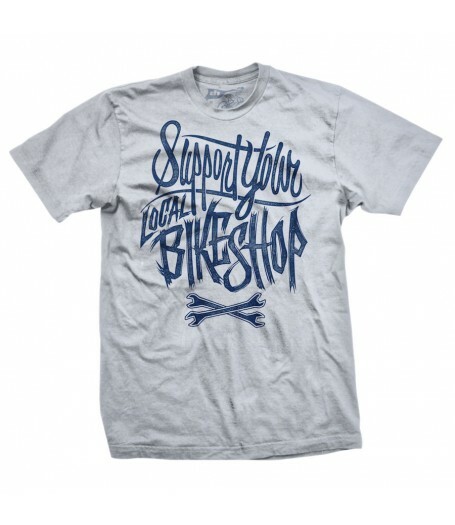 "SUPPORT YOUR LOCAL BIKE SHOP" Heather Grey shirt with blue graphic. Shirts are 100% soft cotton.